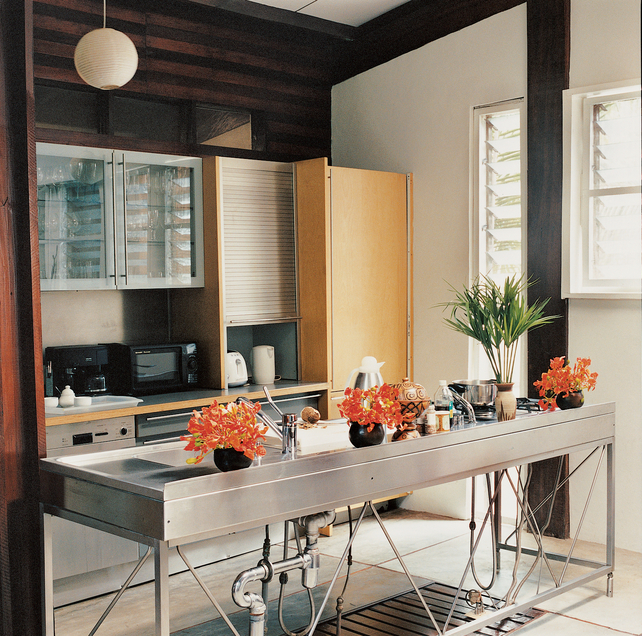 Mix and Chic: Chic and gorgeous kitchens in every style! A chic, sleek and modern freestanding stainless steel kitchen sink unit becomes a focal point in the heart of a contemporary kitchen with its gorgeous sculptural lines. Incorporating a rectangle kitchen island with a rounded edge in a glossy stainless steel countertop and glossy gray surfaces along with sleek kitchen cabinets and fixtures contributes to a stylish and ultra modern kitchen. 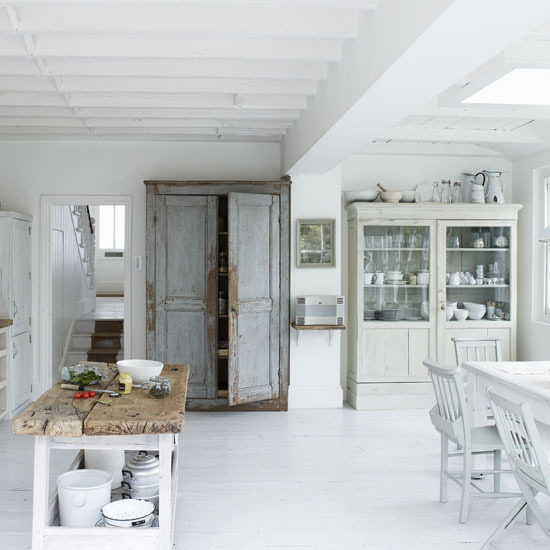 The addition of a reclaimed and distressed wood door for a pantry and rustic wood planks for an island countertop exudes warmth and character in a white shabby chic country kitchen. Adding several red retro kitchen stools, a few small traditional rugs and some green house plants as accents to a gorgeous classic black and white kitchen creates an eclectic and cheery space. Great ideas!!! 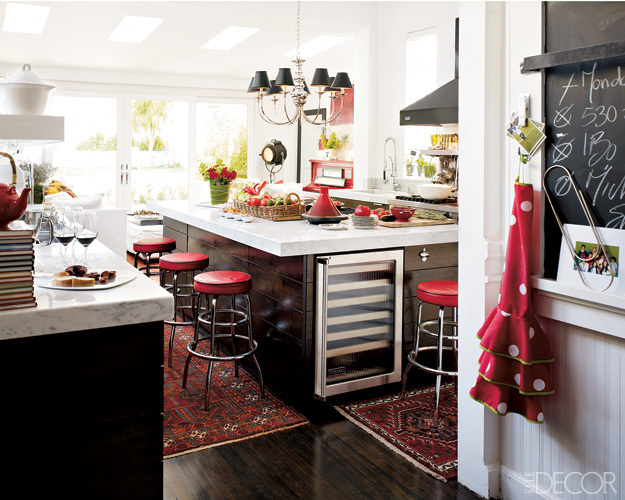 love that red retro kitchen, and the rectangle one. Every kitchen is definitely chic on their own. My favorites are the rustic shabby chic kitchen and the red retro kitchen.